Sadly, the local dance legend Len Gibson died recently. 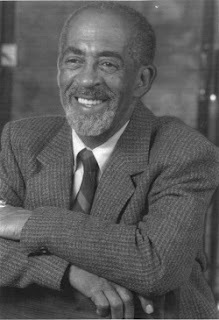 His role in the development of theatre and dance in Canada is well known, and his contributions were recognized when he was given the Harry Jerome Award for Lifetime Achievement in 2000. Gibson's part in keeping the memory of Vancouver's black community included his performance in the Vancouver Moving Theatre's production of East End Blues in 2006. We in the Hogan's Alley Memorial Project offer our condolences to his family. A detailed obituary appears here.